Hi all. I am trying to do a Raspberry PI mod on the Arcade 1up Pac Man mini cabinet. 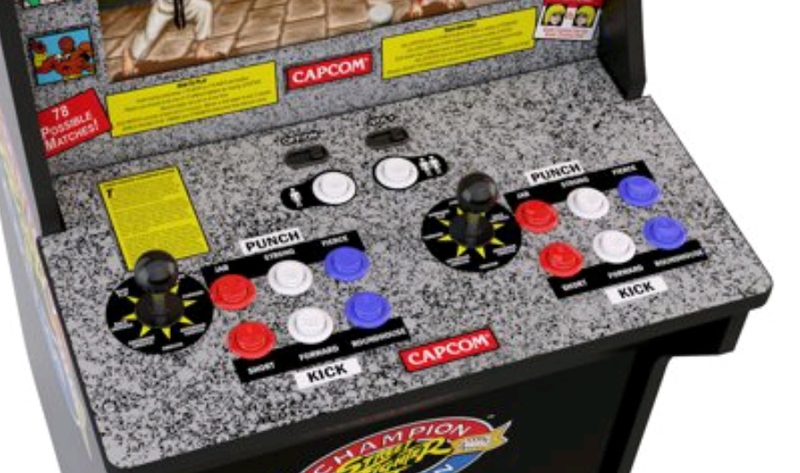 What I want to do is use the control panel from the Street Fighter cabinet (it has all the buttons and 2 joysticks to make it easier to convert) and have artwork made for this control panel. Who can i get to make it in the style of the 1up Pac Man artwork? Hit up someone like Joe Szabo. Is there an Arcade 1up thread? I searched and didn't find anything. Szabo does great work, bit you'd need an art file to send him. I don't think he'd custom make anything. Thsnks for the ideas. I'll check into them. If I can find someone I'll send the extra control panel so they can get the size and stuff right. I have someone on Ebay that I have been chatting with, but I dont think they are getting what I want to do. Thanks again. 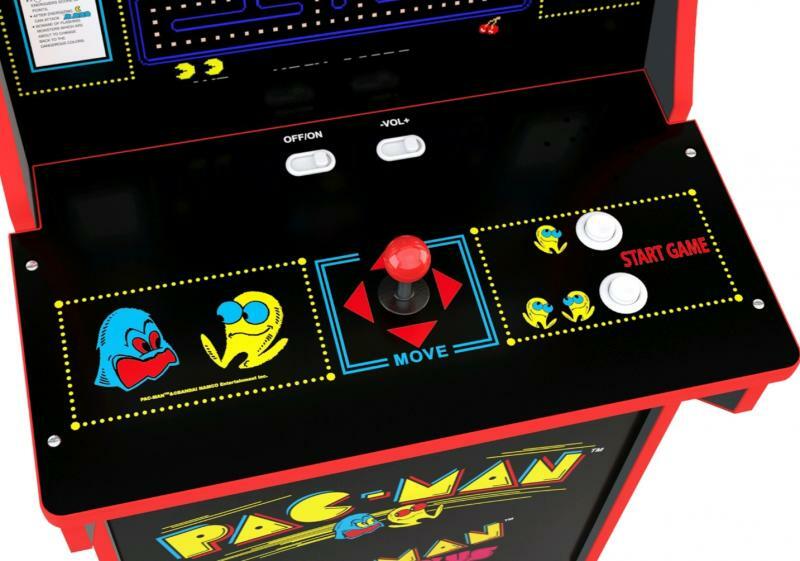 How is the over all quality of the pacman? I ask as my walmart just got them in but the reviews haven't been so hot. Looking for first had info from someone who owns and has played one. Sorry Shawn, I haven't opened it up yet. I want to get everything bought up and the here to turn it into a Raspberry PI machine. I still haven't found anyone that will make the control panel overlay. Edited by godsey1, Thu Dec 27, 2018 6:46 AM. Edited by Elvis, Tue Feb 12, 2019 10:44 PM. I finally found a Facebook group that mods these machines and got what I needed. I have the Galaga unit. Overall the software build is pretty good. The cabinet could use a bit of reinforcement but is pretty sturdy. The control panel can use some modding though. First thing is remove all of the components and apply laquer or spray varnish so the art doesn't rub off. Then I would upgrade the buttons with standard 28mm Suzo/Happ style plungers with 20g Zippy microswitches. You can buy these at Paradise Arcade Shop or Groovy Game Gear. Also a better joystick would go a long way too. Be sure to install the proper joystick type for whatever games are installed. I bought my Galaga in Walmart right after Halloween and have had fun with it so far. I started making a video review a couple months back in segments; have not finished it yet because holidays, life, job, changing interests, and then "midlife crisis" hit me right around my 38th birthday.